"Never give up hope! 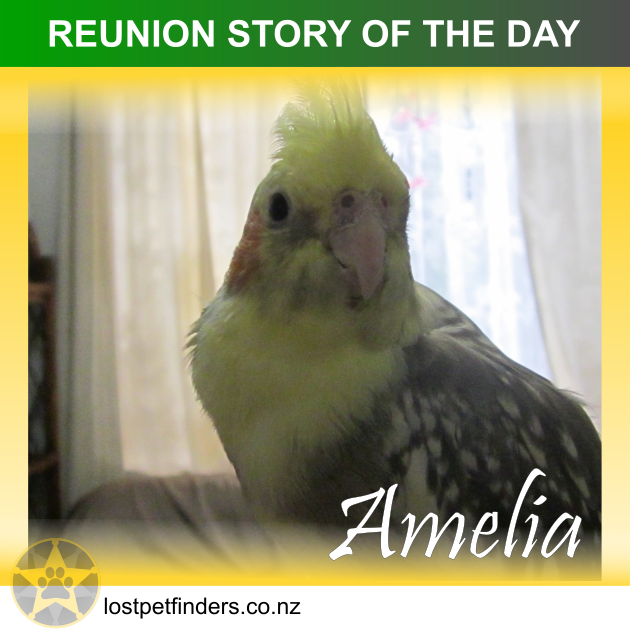 I found Amelia by going to the direction I last saw her fly too and whistled and called her name until I heard her calling back!! I followed the sound of her whistle until I saw her in a tree it was amazing I was so happy to see her and I think she was happy to see me too so I got her seed bowl out with seed and held it up to her she must of been hungry I waited patiently for half and hour but she came down and flew onto my head and then my hand while I gently placed her back into her cage safe and sound.